All fishing methods have some type of unintentional environmental impact. 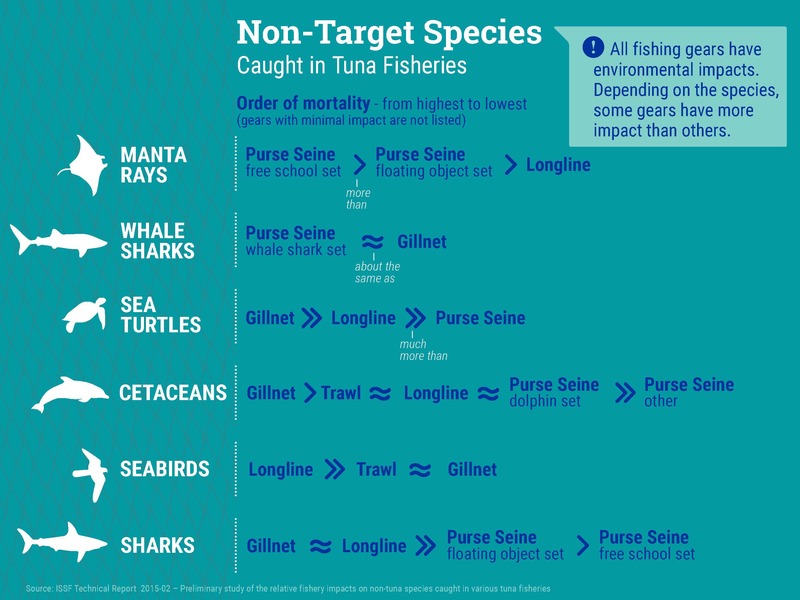 One impact that receives a lot of attention is the incidental catch of non-target species, often referred to as “bycatch.” This infographic reviews the relative impacts of different fisheries on non-tuna species caught incidentally in tuna fisheries. The source for this infographic is primarily ISSF Technical Report 2015-02: Preliminary Study Of The Relative Fishery Impacts On Non-Tuna Species Caught In Various Tuna Fisheries.